Are you looking for a lovable, snuggable hound dog to keep away the winter blues? Well glad to meet ya, the name is Buster! 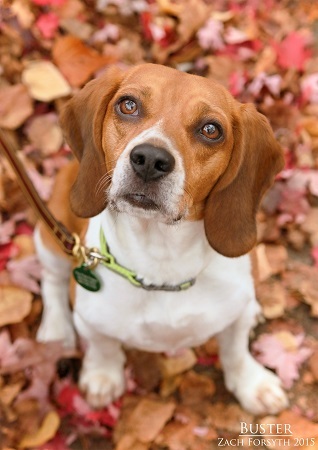 I’m a 4 year old Beagle that is fixin’ to get myself a new home. I’m a real good boy and don’t ask for much, just some time to sit back and smell the roses…and the gardenias, and the bushes by the side of the house, and oh! that tree over there smells good! Pardon me, sometimes my nose gets away from me – I’m a real hound in that sense! 😉 I do well with other dogs and kids, but I prefer a home without kitties. At 25 lbs I’m a compact companion that is a perfect size for adventuring or curling up on a cushion by the fireplace. I’ll let you choose because I’m happy either way! Do I sound like the perfect match for you? Fill out the adoption application so we can schedule a meet and greet. I am fixed, vaccinated and microchipped. My adoption fee is $250.